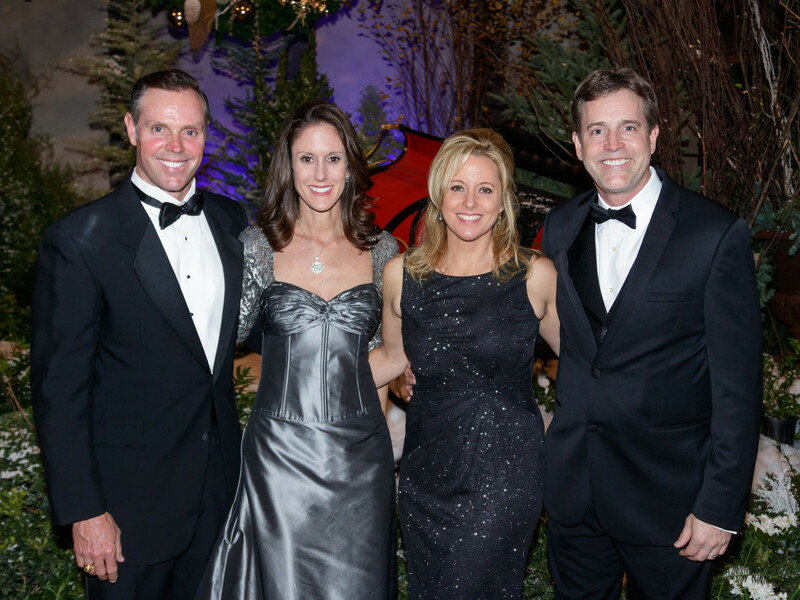 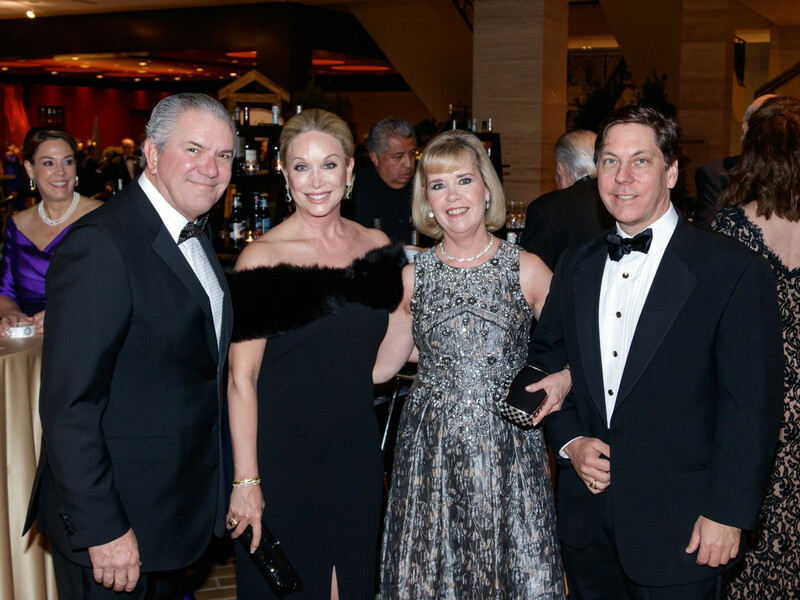 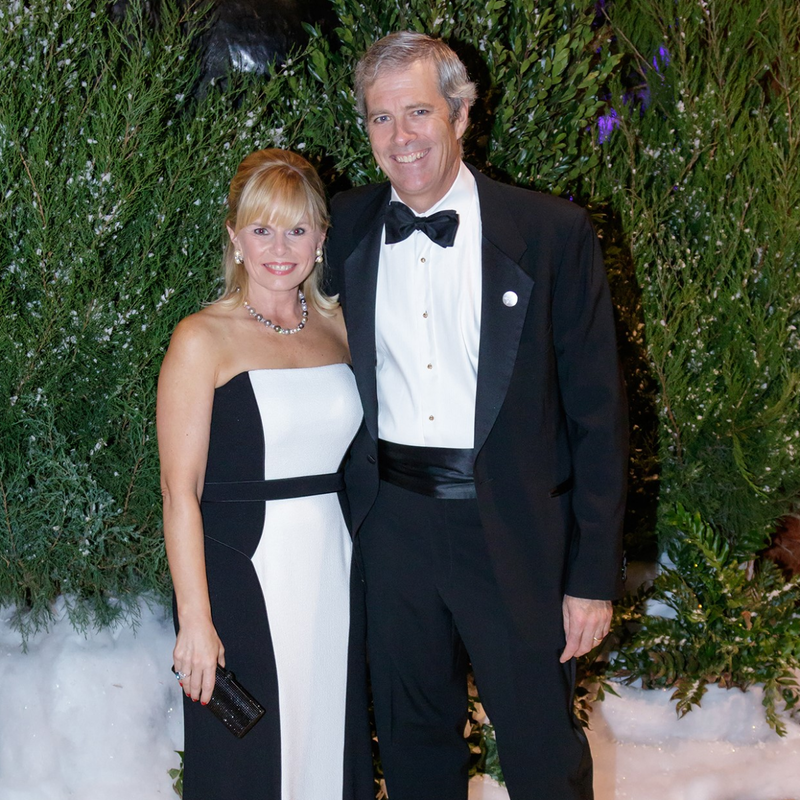 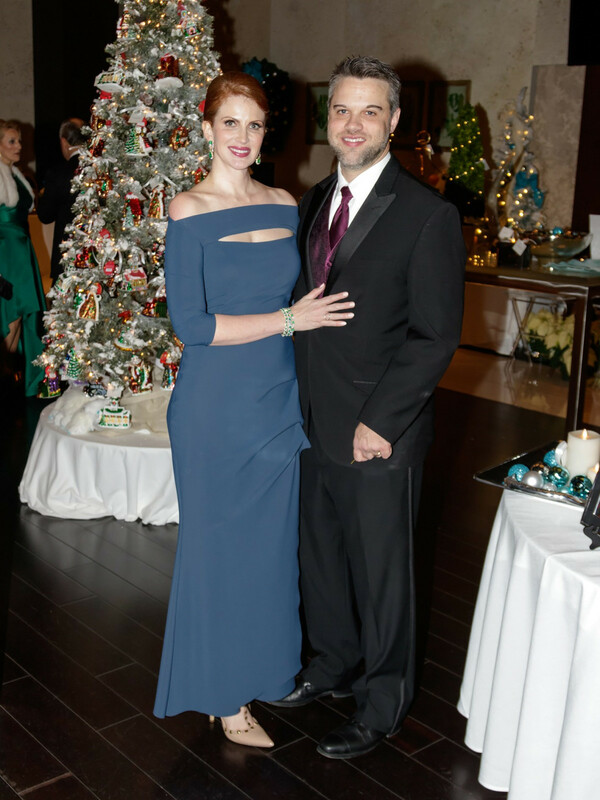 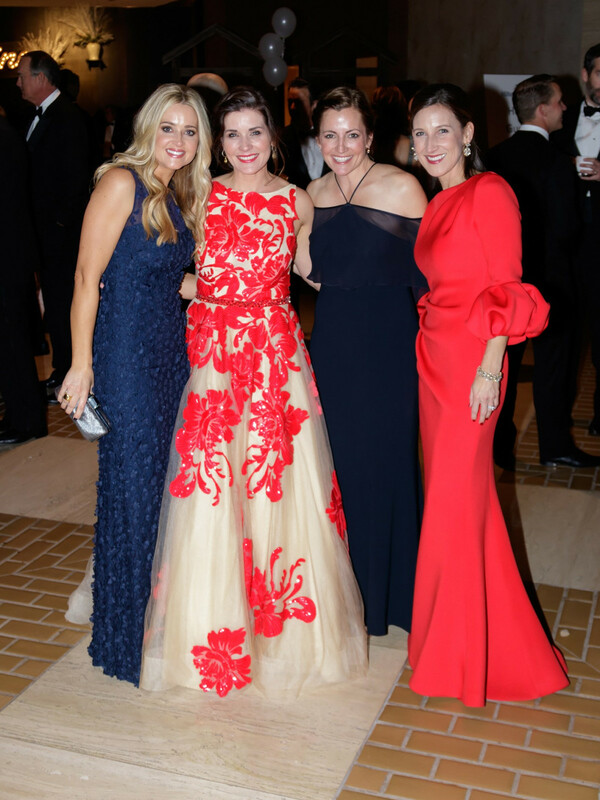 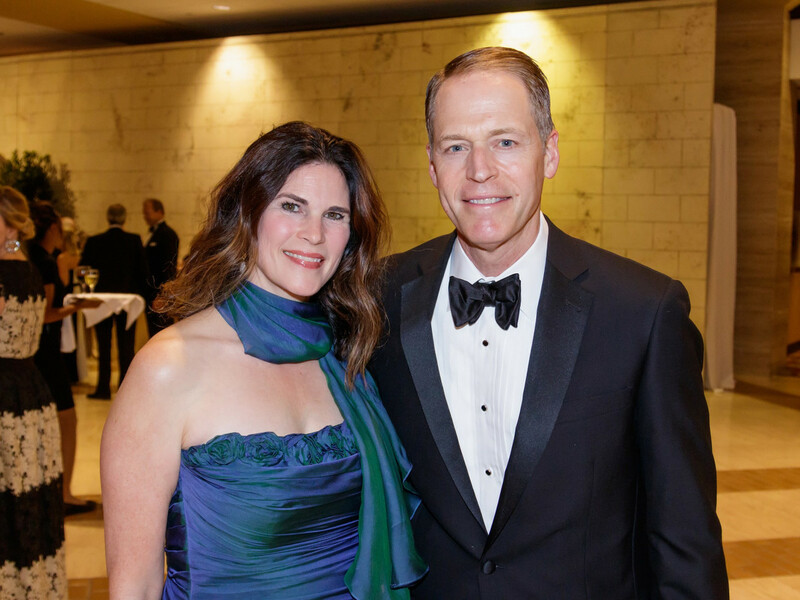 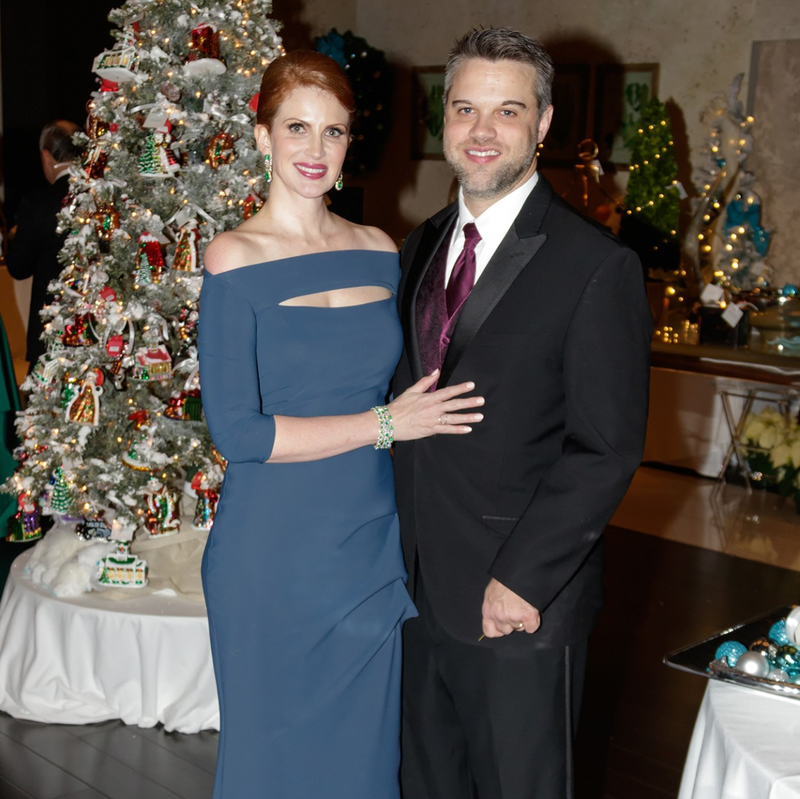 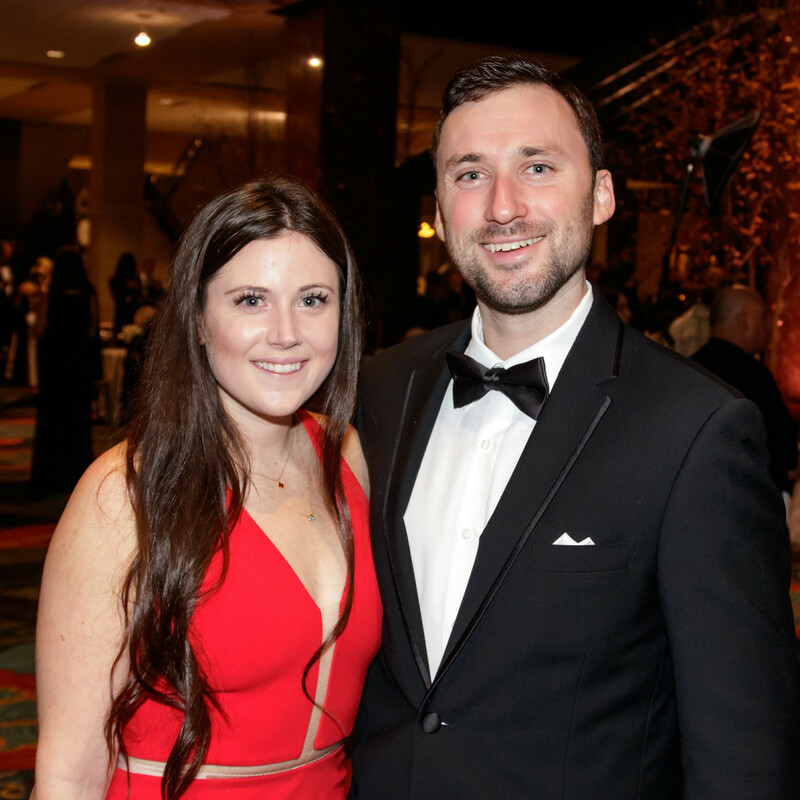 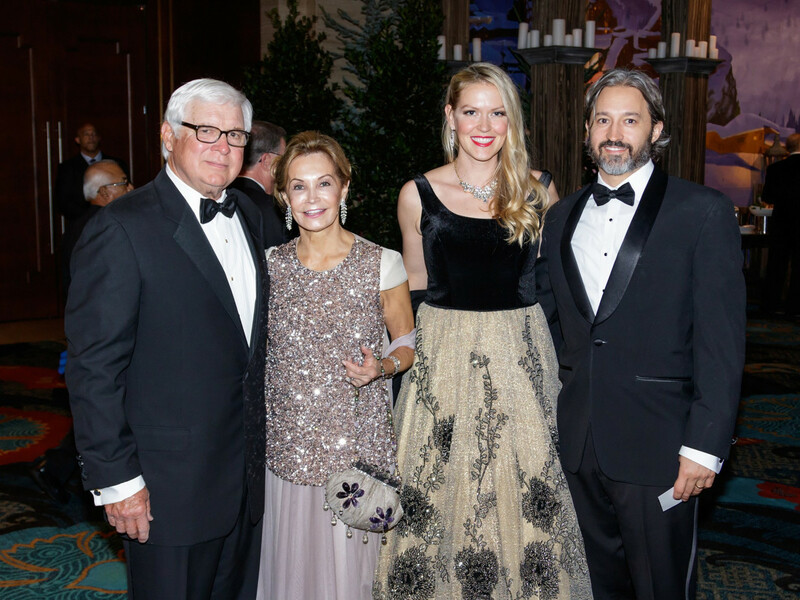 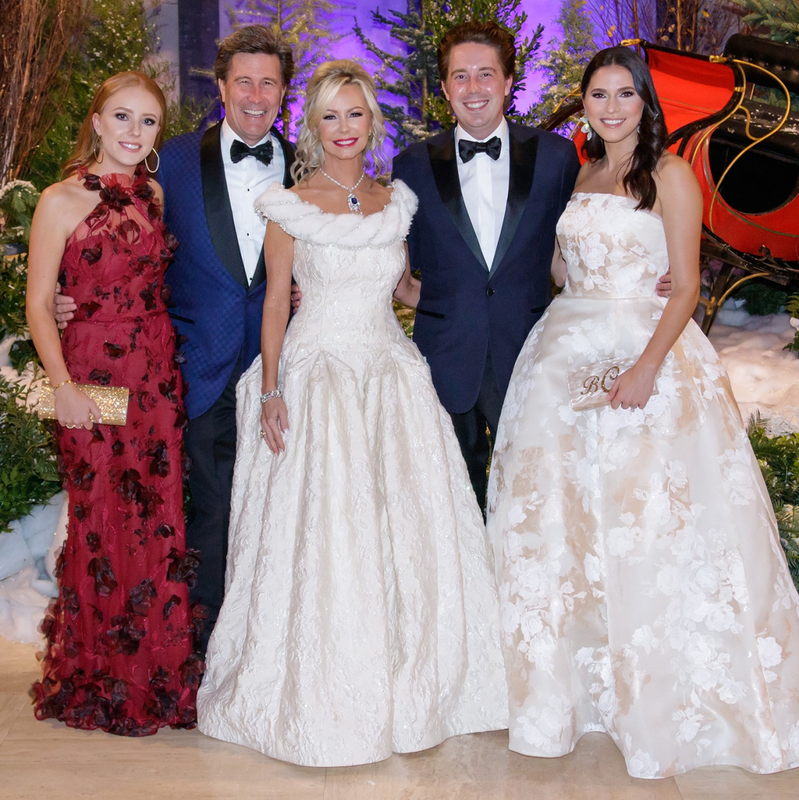 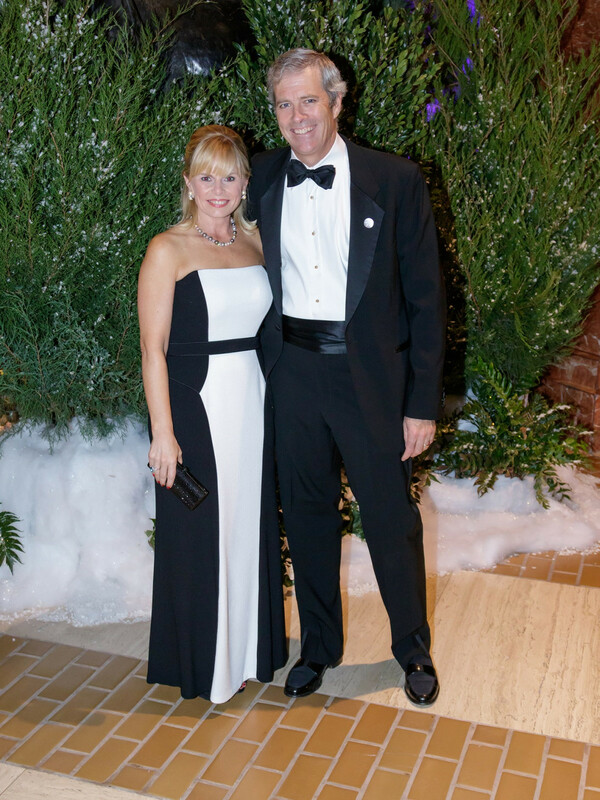 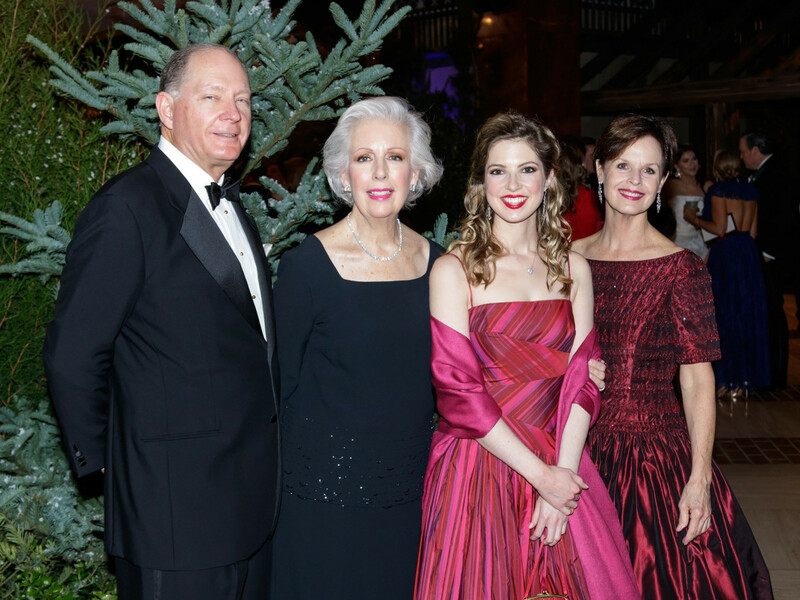 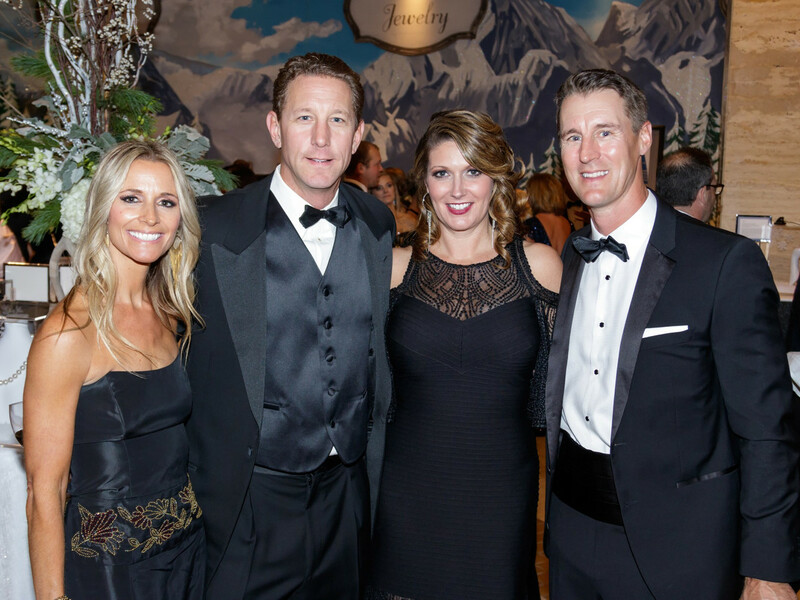 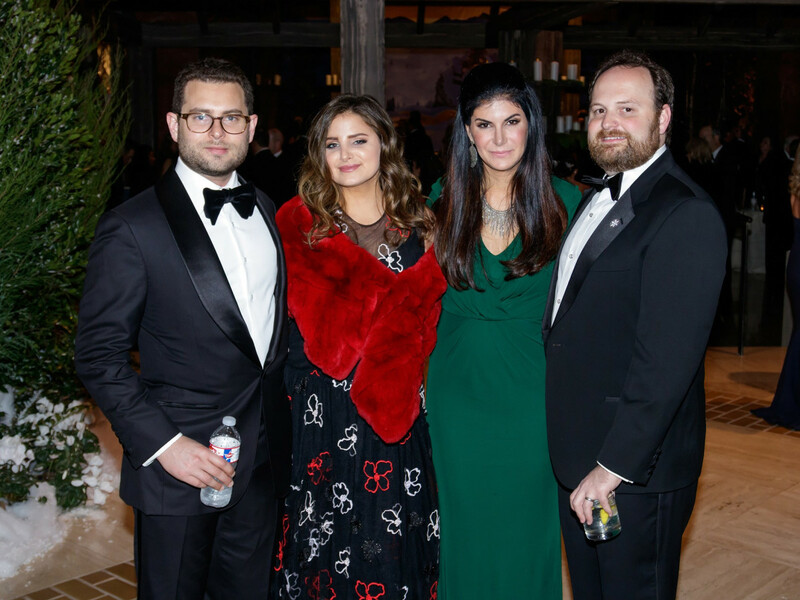 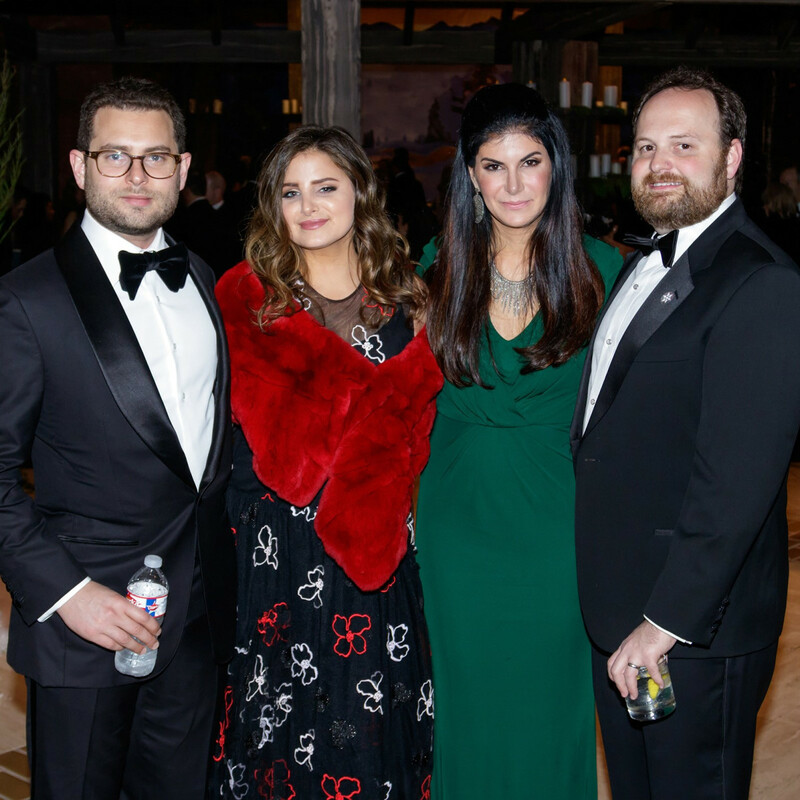 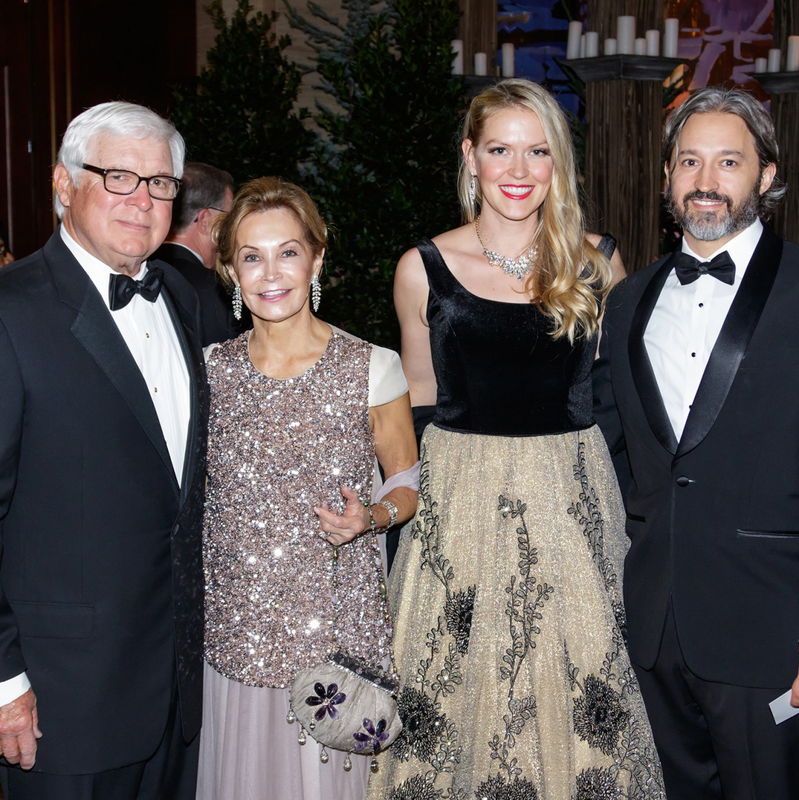 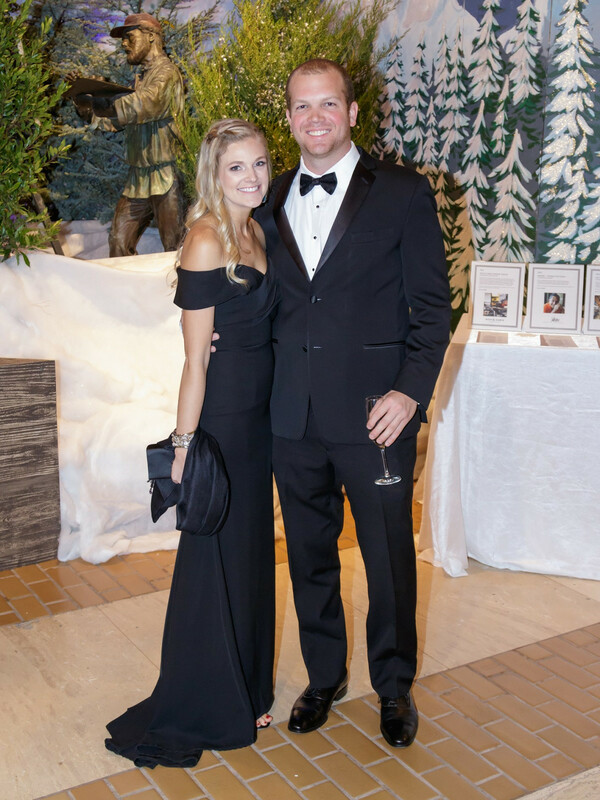 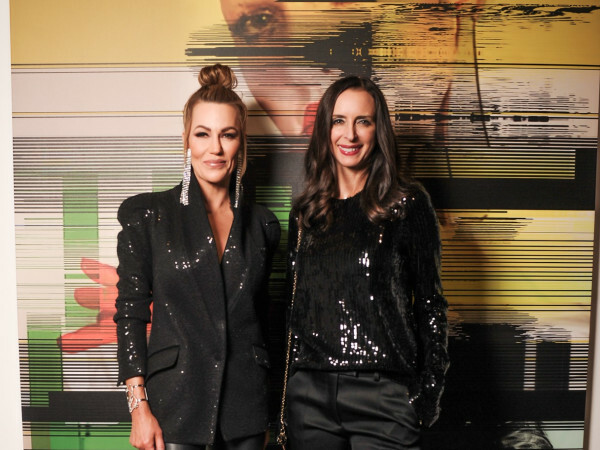 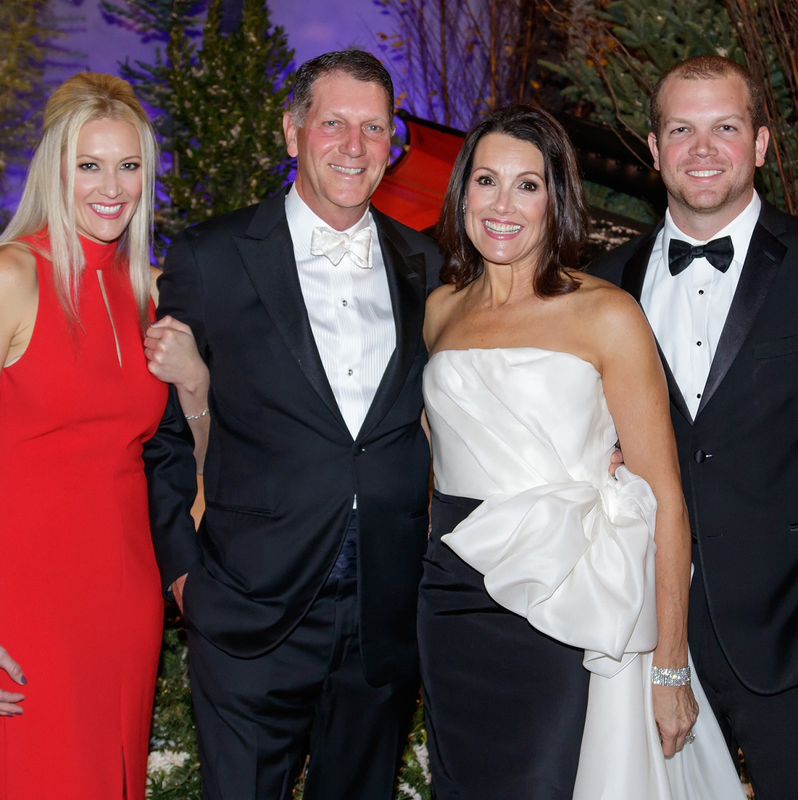 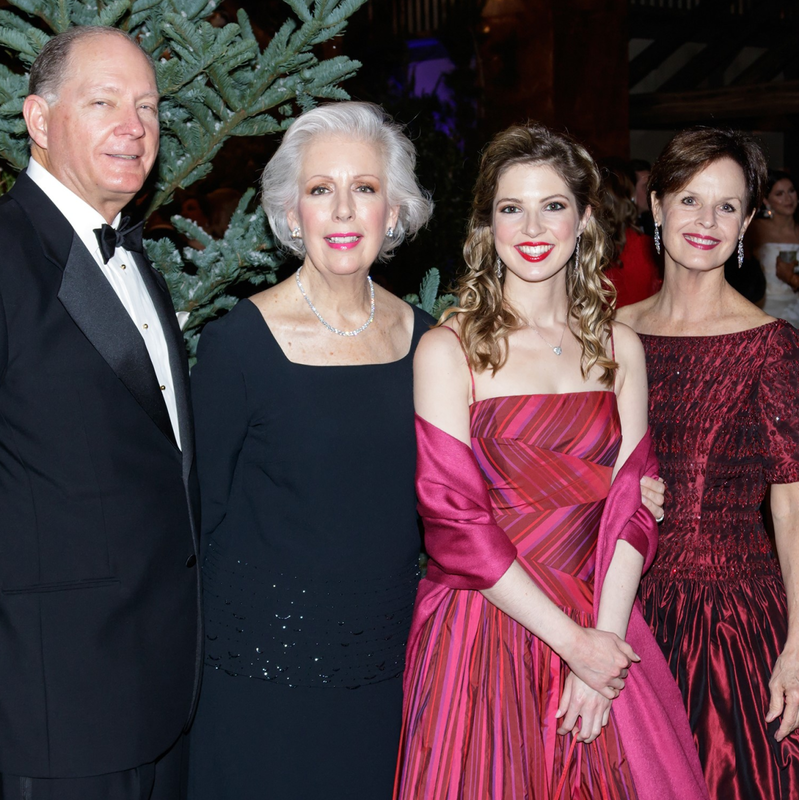 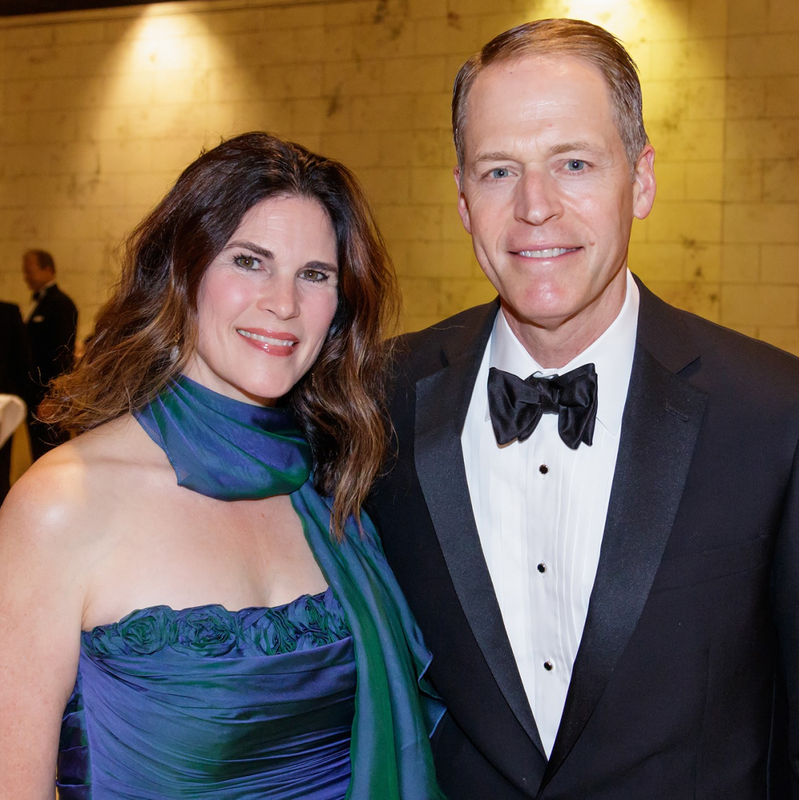 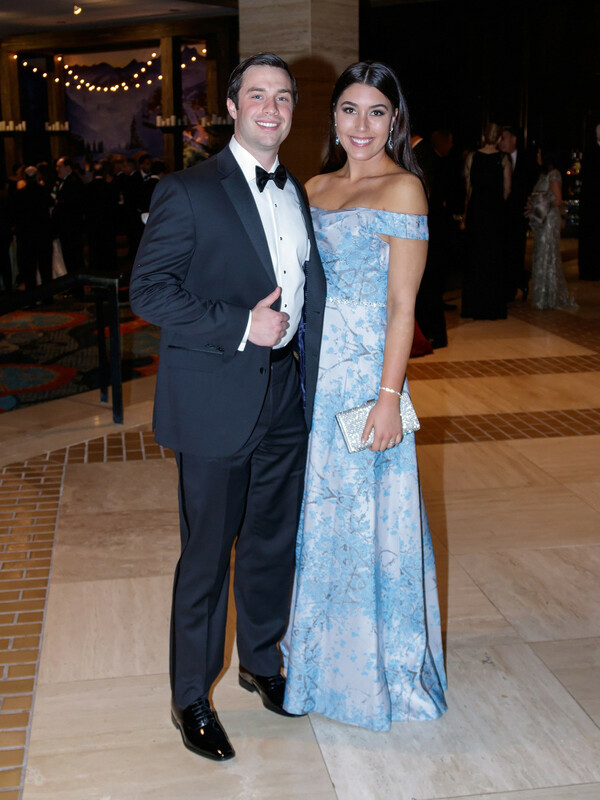 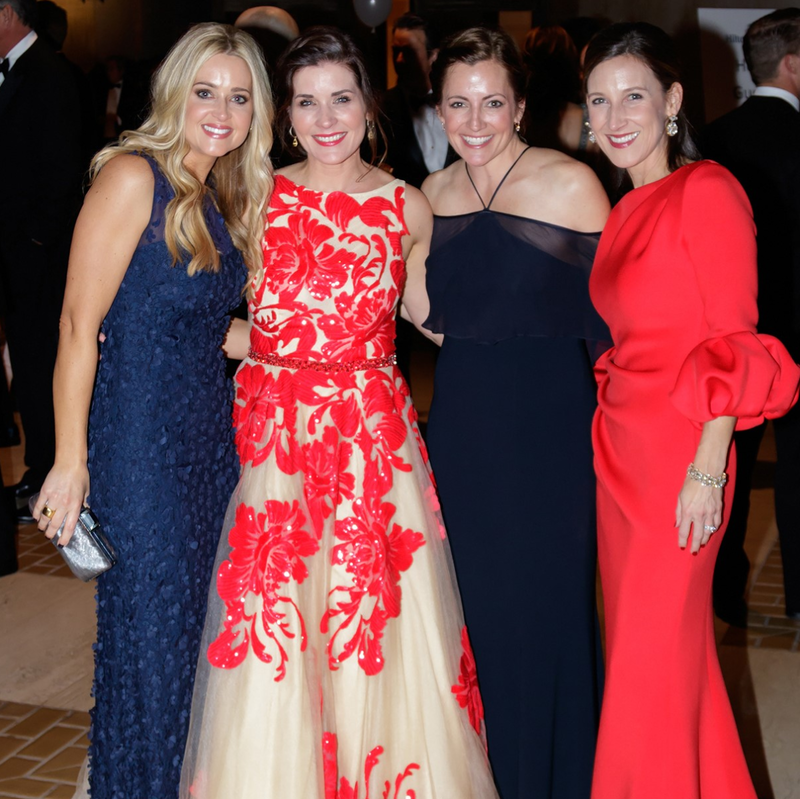 More than 1,500 of Dallas' most generous and glamorous philanthropists walked into a winter wonderland at the Hilton Anatole for Crystal Charity Ball, the grandest gala of the year. 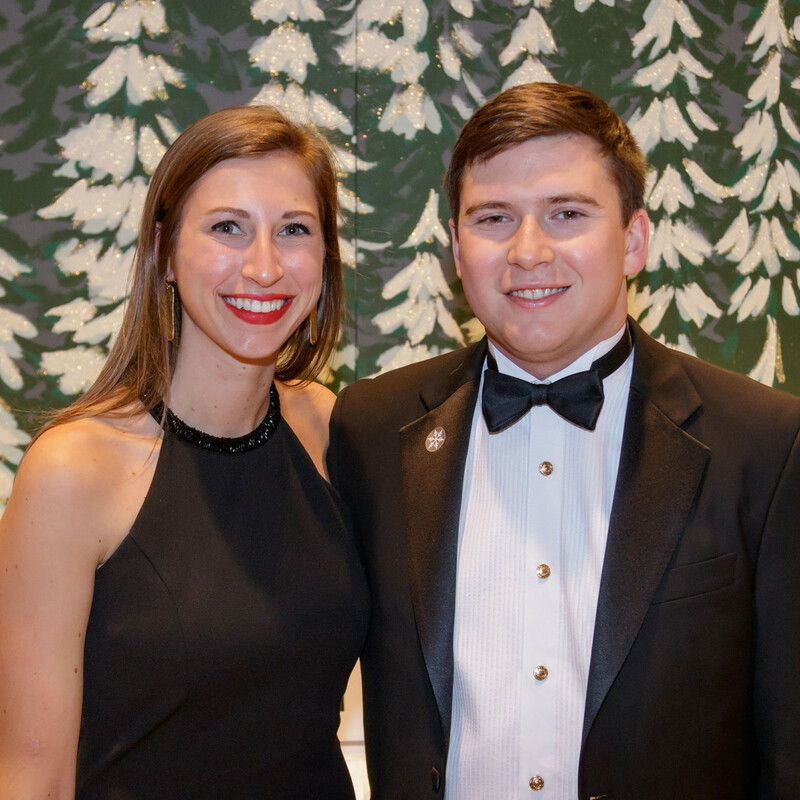 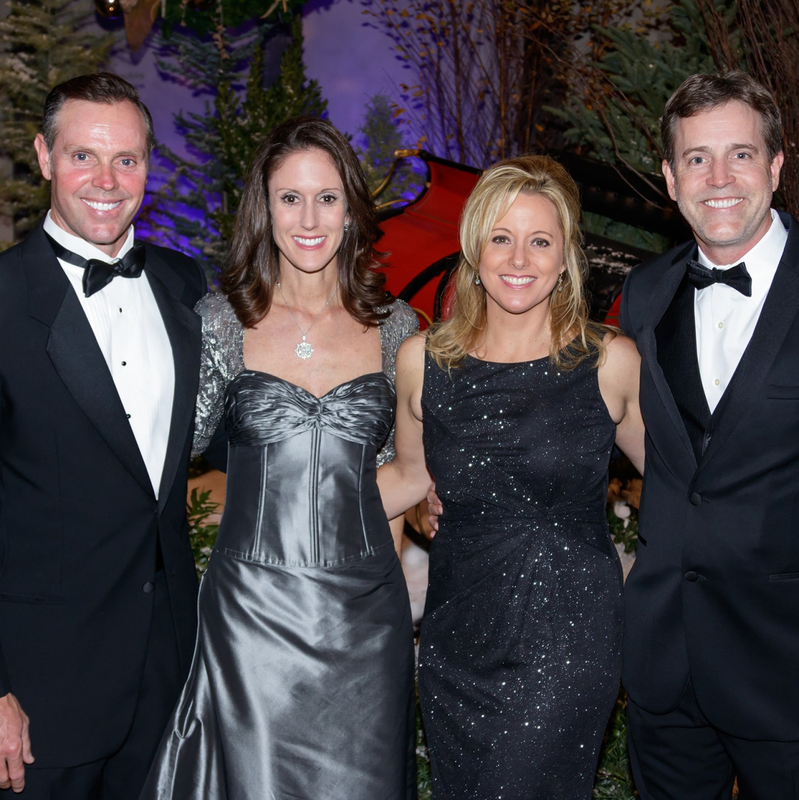 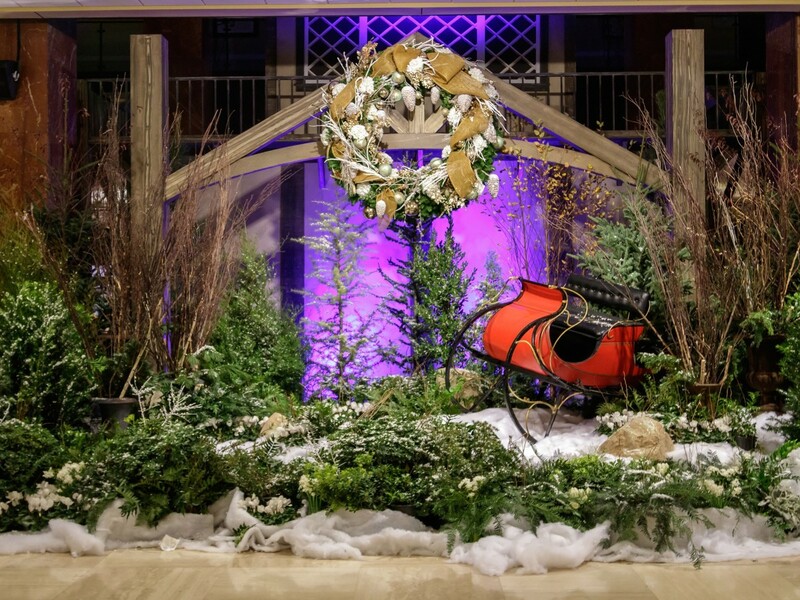 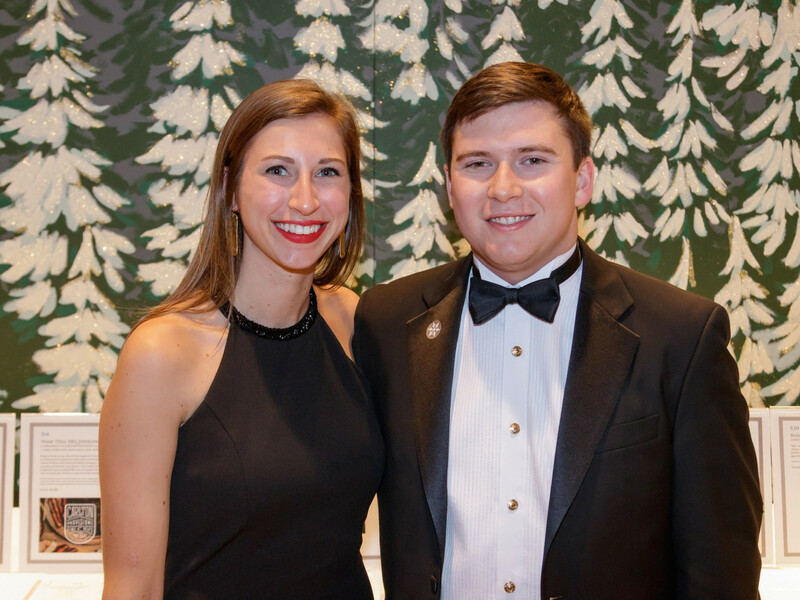 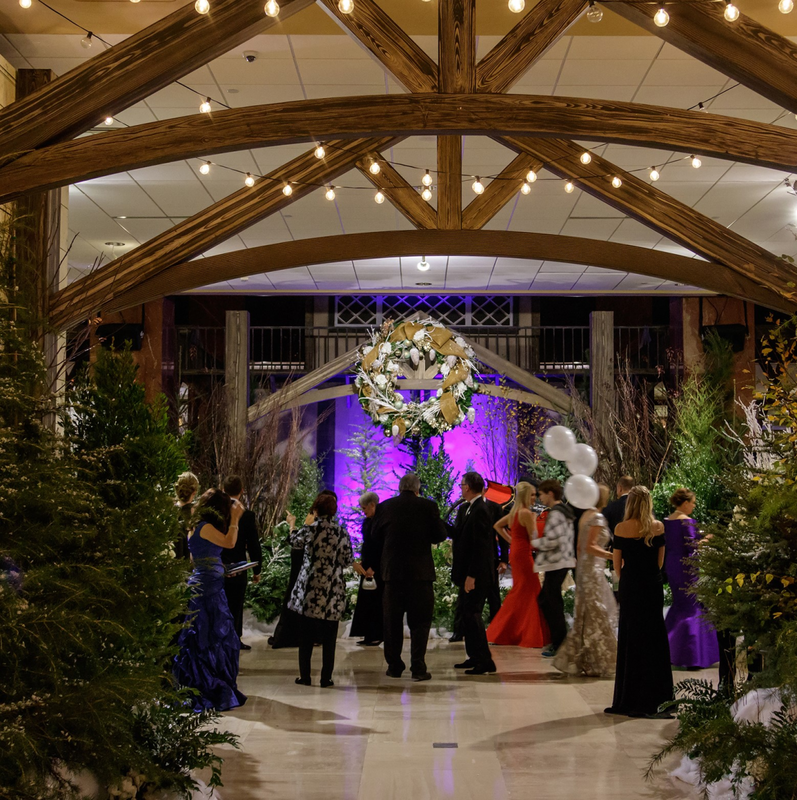 The December 2 event, themed "An Evening in the Alps" and chaired by Pam Perella, was an elaborate production that transported guests to a snow-filled fantasy. 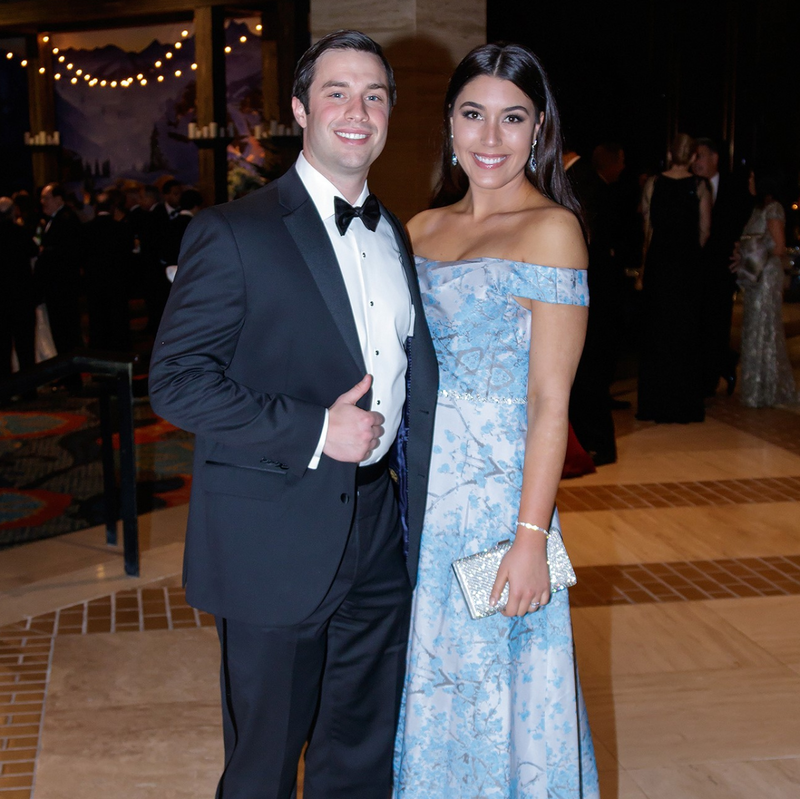 The 65th annual black-tie gala is the grand finale of the social season and benefits children's charities around the city. 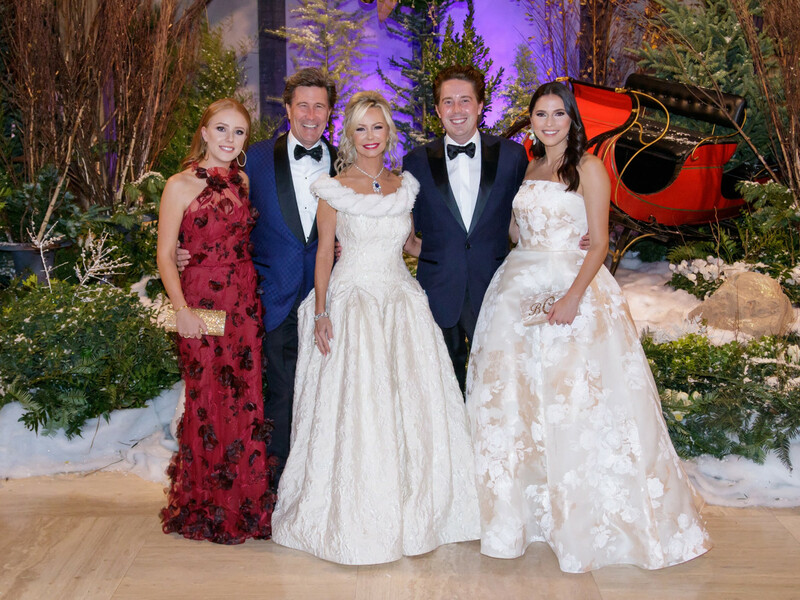 Upon arrival, guests — dressed in their finest ballgowns and tuxedos — walked down a pathway illuminated with snowflake projections before being ushered into what looked like an opulent Alpine chalet. 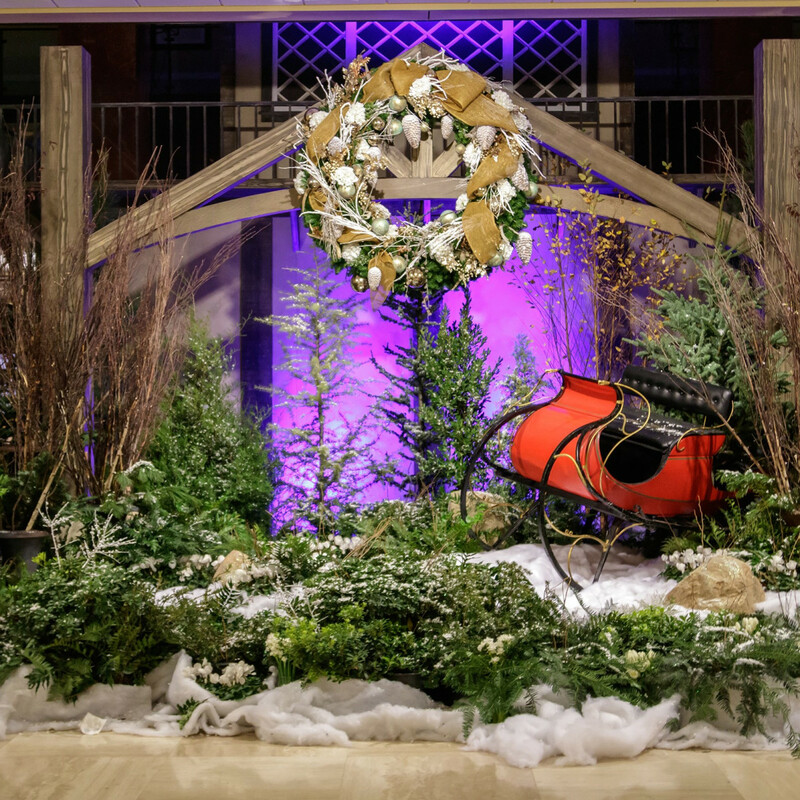 Flocked Christmas trees and grand floral arrangements embellished with snow-covered branches were tucked into nooks and corners throughout the lobby. 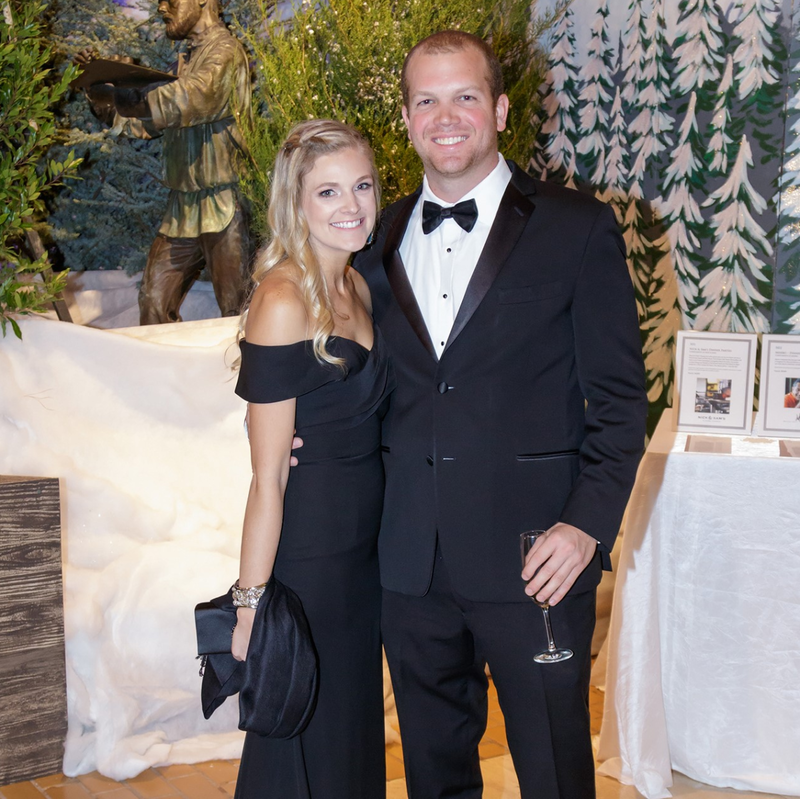 Snowy mountain scenes painted on backdrops and wintry vignettes helped bring the setting to life, as did old-fashioned toboggans and lanterns hanging on display walls. 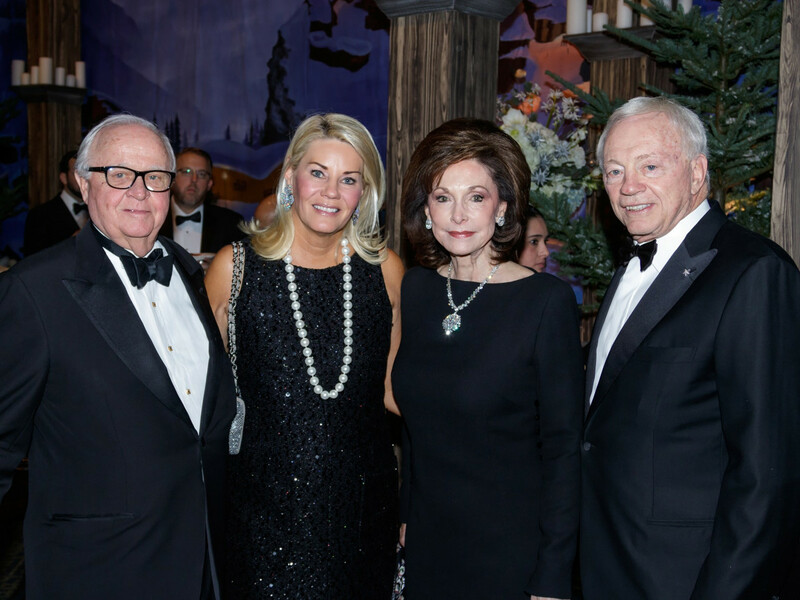 After having portraits made by John French Photography and grabbing glasses of wine and bubbly, attendees — including Gene and Jerry Jones, Kelli and Gerald Ford, Lisa and Clay Cooley, Lynn McBee, Lisa Singleton, Elizabeth and Eric Gambrell, Cheryl and Richard Joyner, Bill Smith, Lynne Lowder, Stacy and Reid Walker, Kristina Atwood, Francie Moody-Dahlbergand, Jeff and Susan Miller — began bidding in the silent auction. 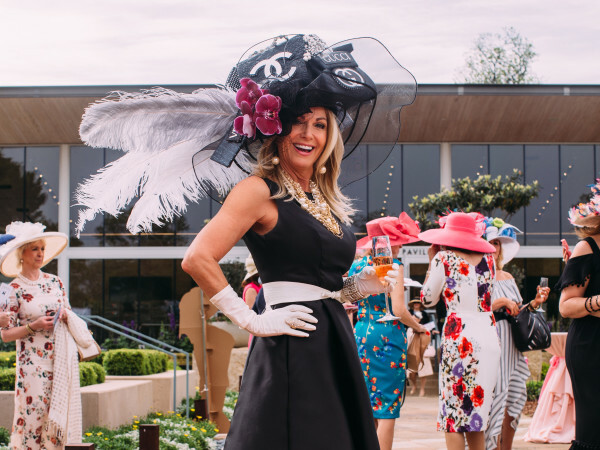 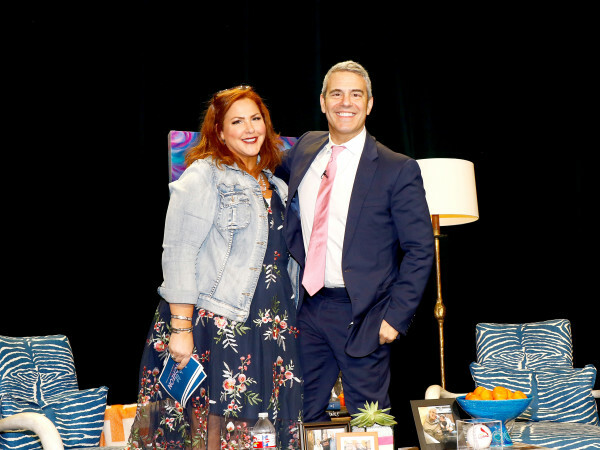 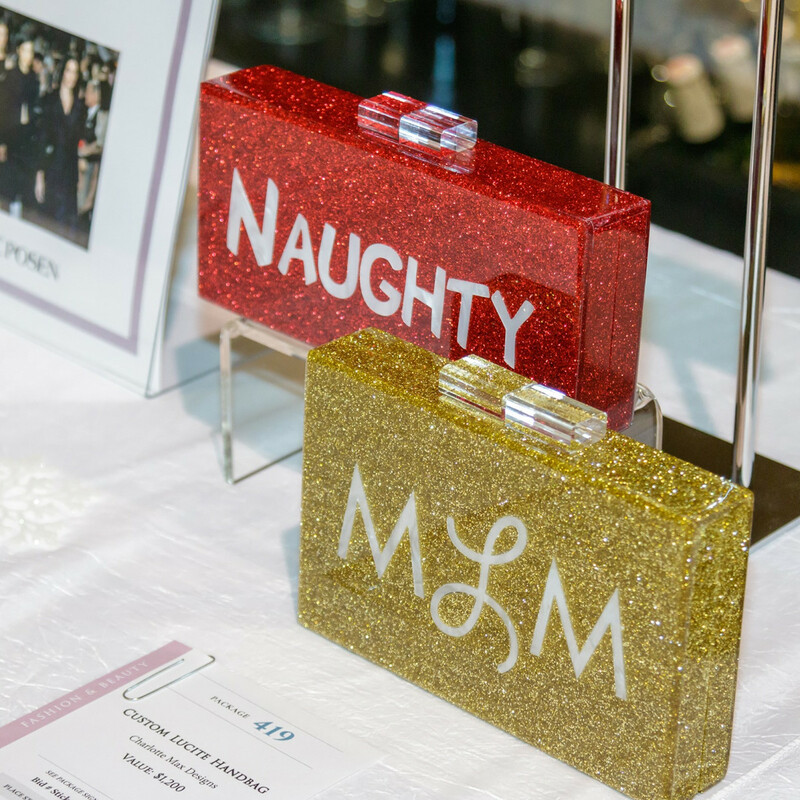 Up for grabs were magnificent trips, fine jewelry, artwork, runway fashion experiences, one-of-a-kind accessories, and many more exquisite items. 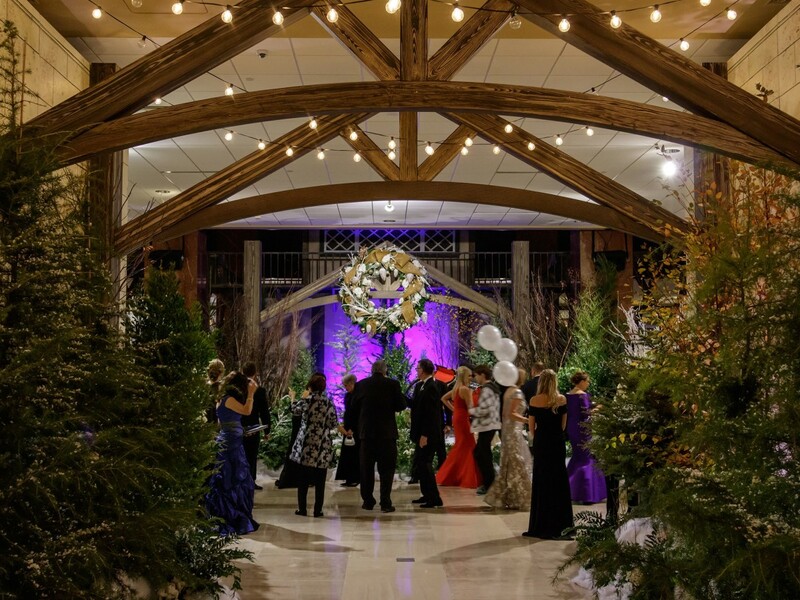 Patrons also perused the The Alpine Shop for holiday gifts, and those feeling lucky tried their hand at a casino. 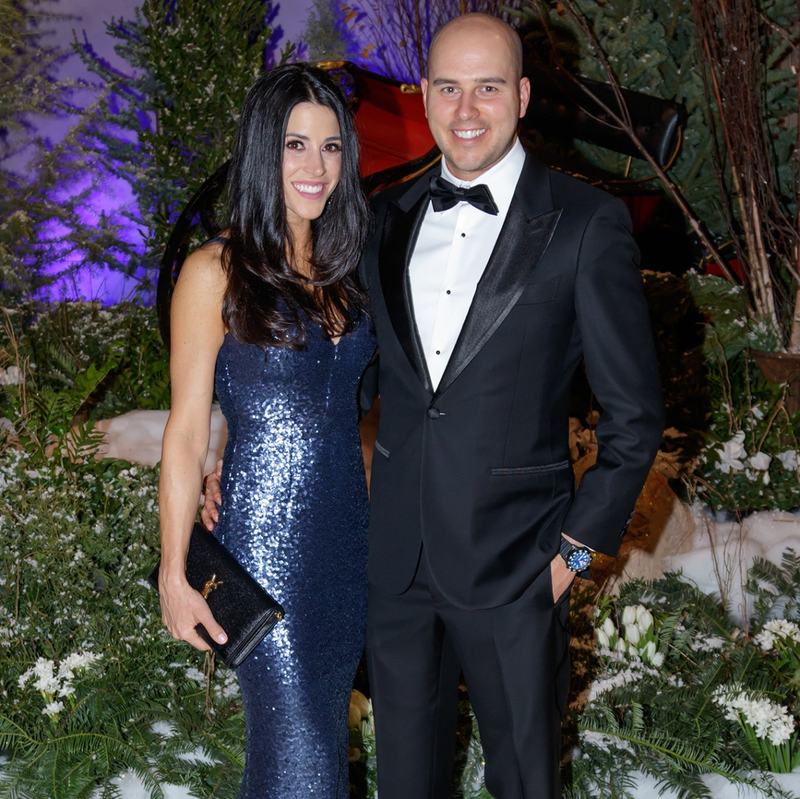 They noshed from generous displays of shrimp and charcuterie and nibbled smoked salmon and caviar blinis. 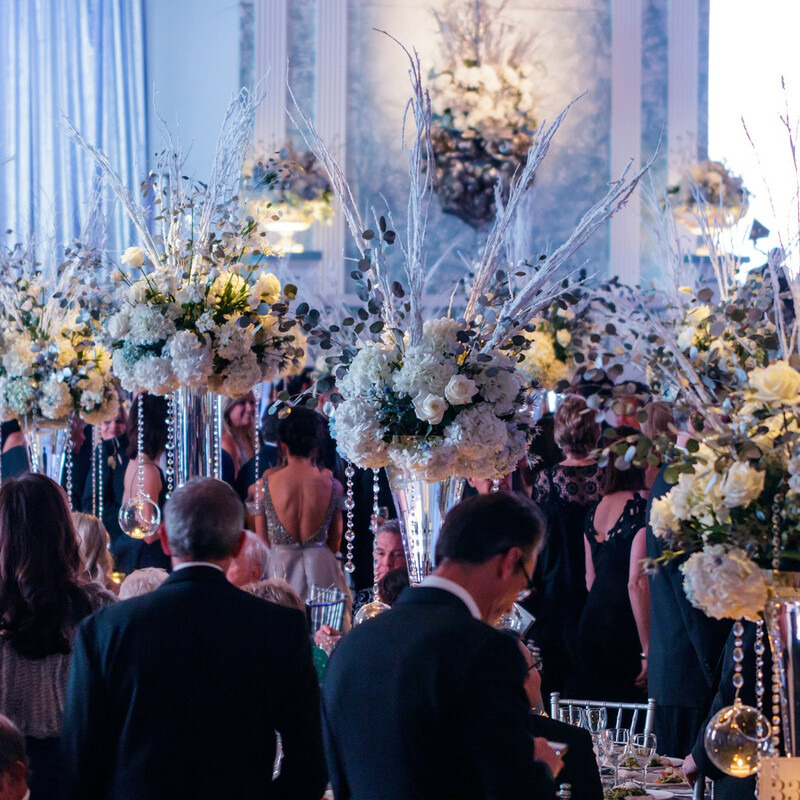 When it was time for dinner, the doors to the Chantilly Ballroom opened to reveal a magical winter fantasy. 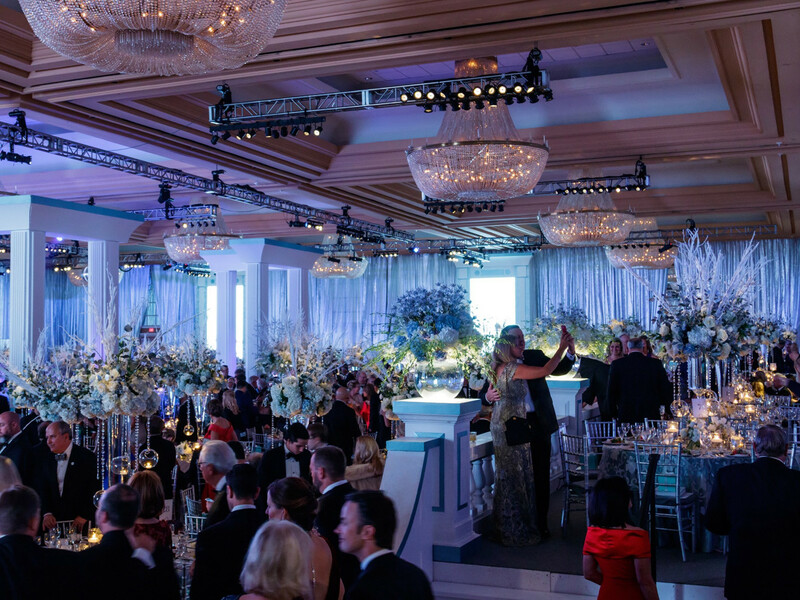 Event designer Tom Addis draped the room with crystals, flowers, and candle-filled glass globes suspended from elaborate table arrangements. 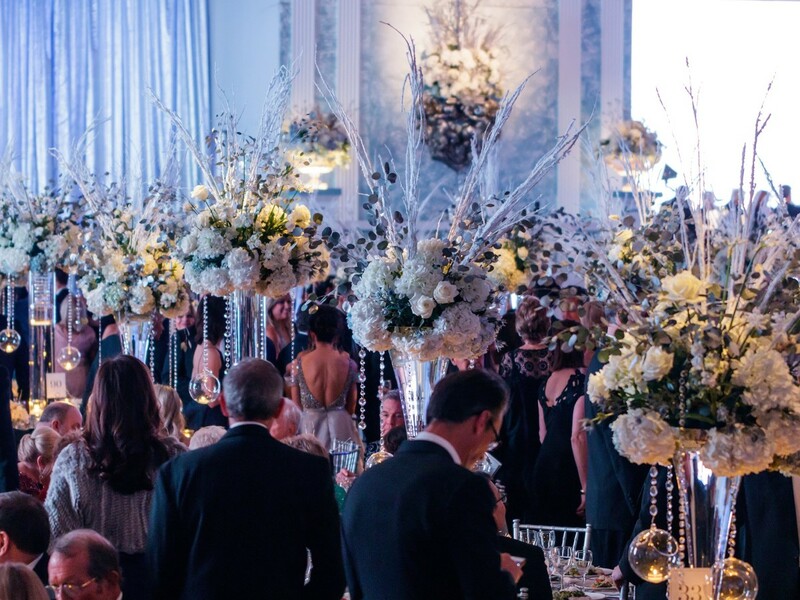 Porcelain bowls in Tiffany boxes were placed on each chair. 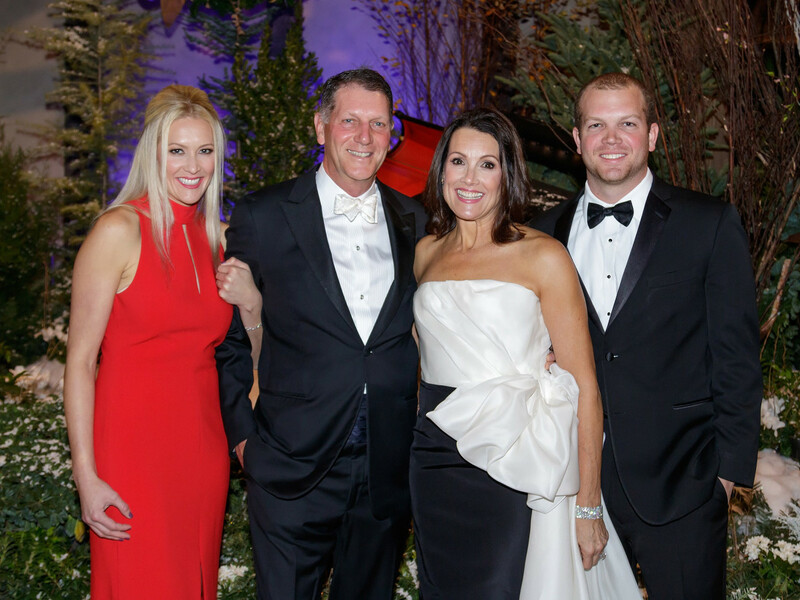 Guests dined on poached lobster and grilled filet of beef with gratin Dauphinois and farmers market vegetables. 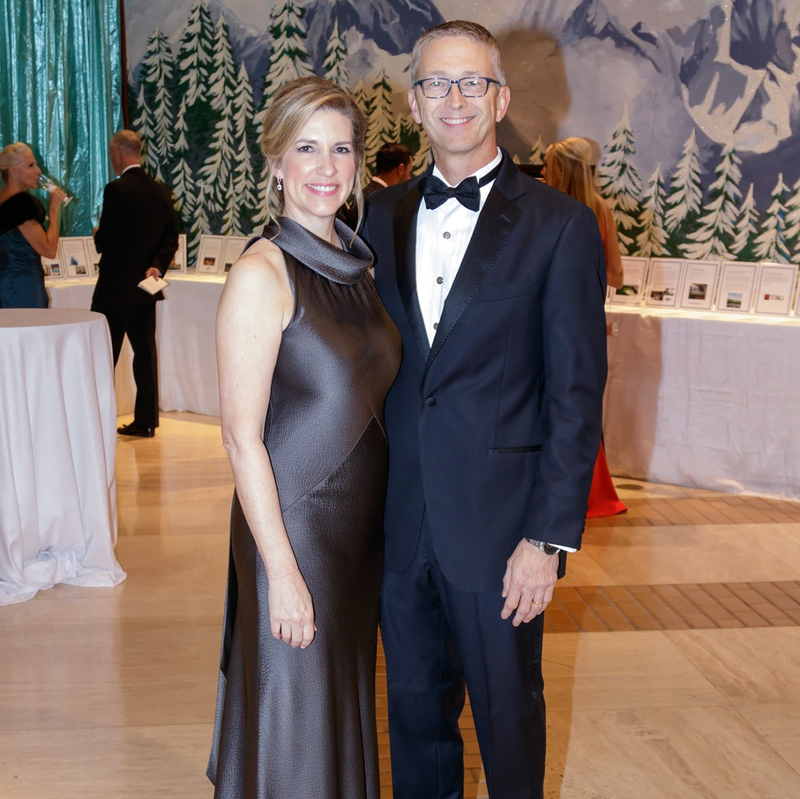 Dessert was a decadent Toblerone Swiss milk chocolate mousse with honey and almond nougat, Basler Brunsli crisp, and coconut snow. 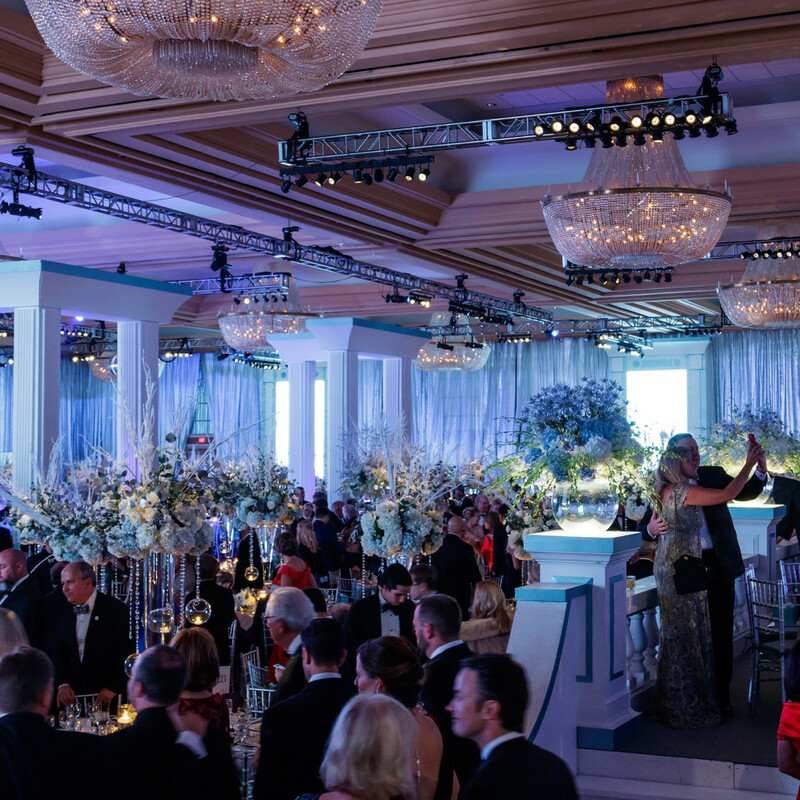 As dinner wound down, the band Simply Irresistible from Atlanta took the stage, drawing the guests onto a lively dance floor. 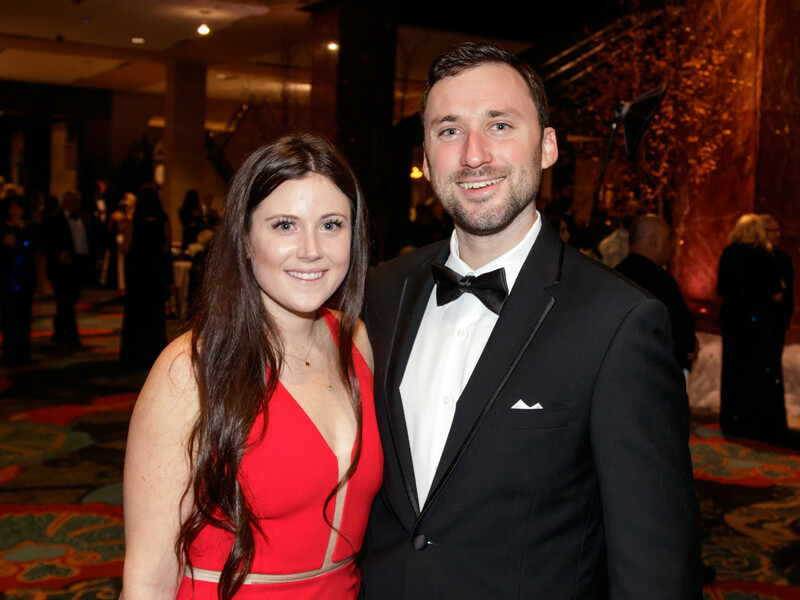 Casino games resumed, a drawing for a 2018 Lexus took place, and late-night coffee was served in the lobby. 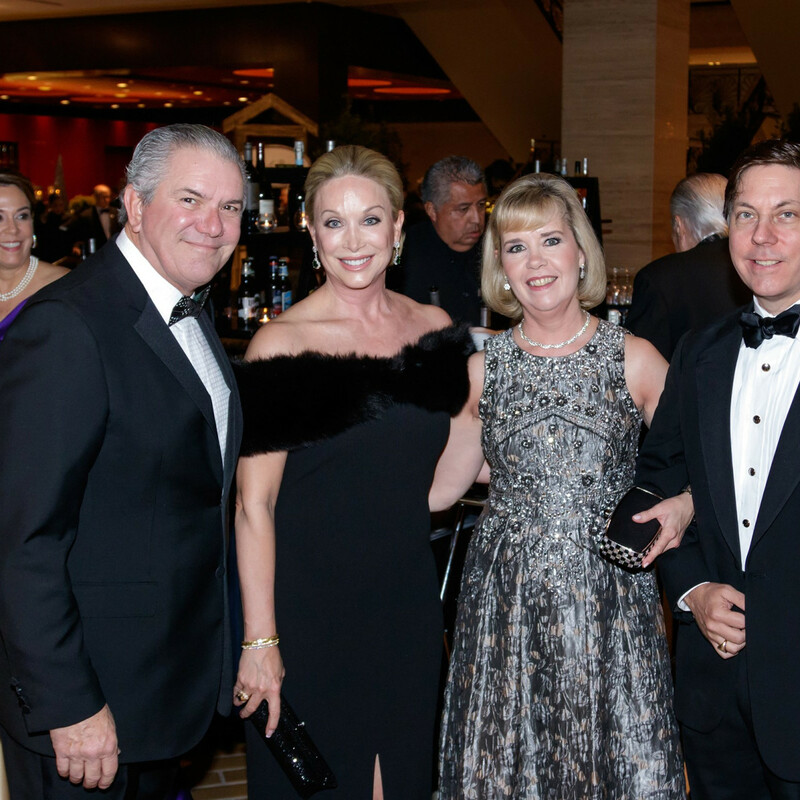 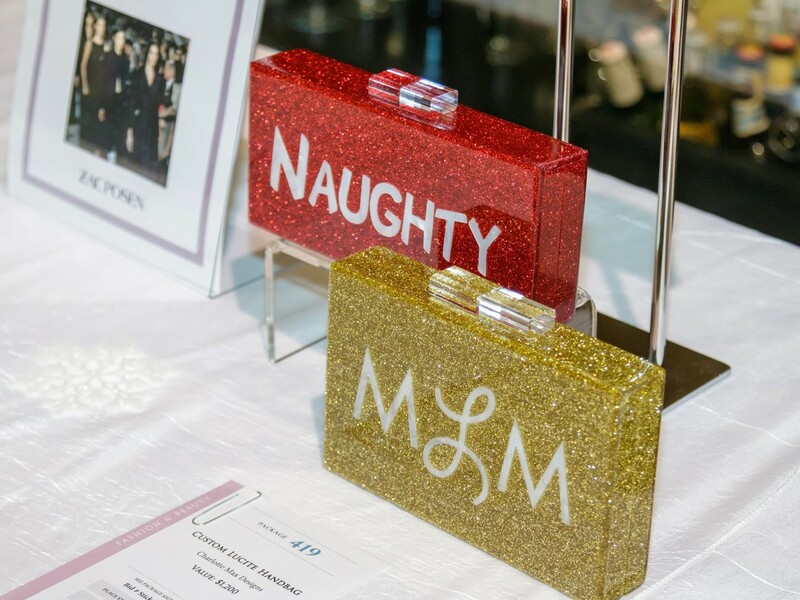 The Crystal Charity Ball Committee’s sole purpose is to aid, support, and make contributions to charitable organizations dedicated to the welfare of children located in Dallas County. 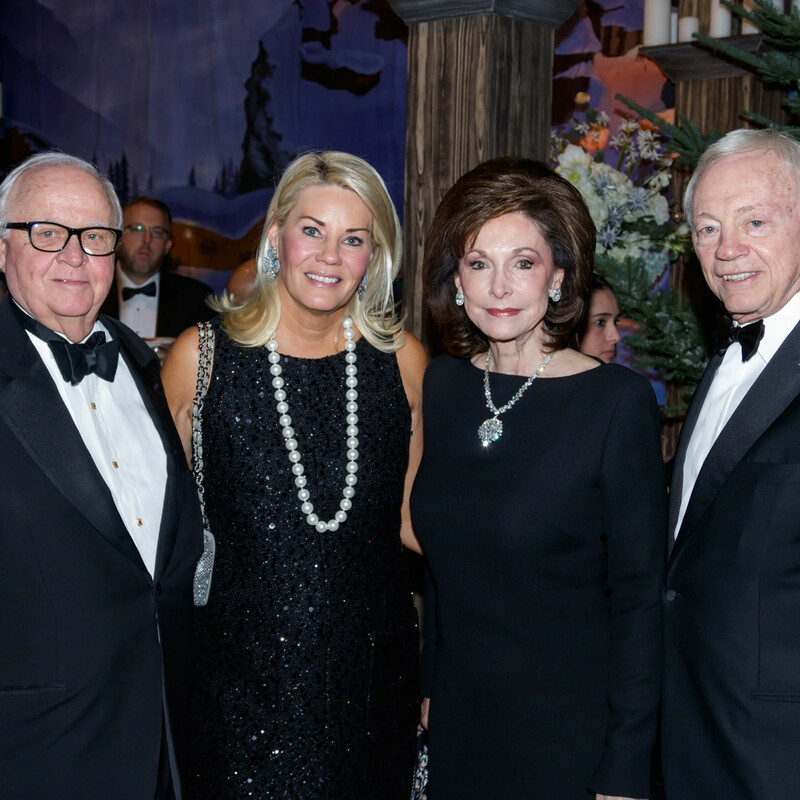 The ball has distributed more than $137 million since 1953. 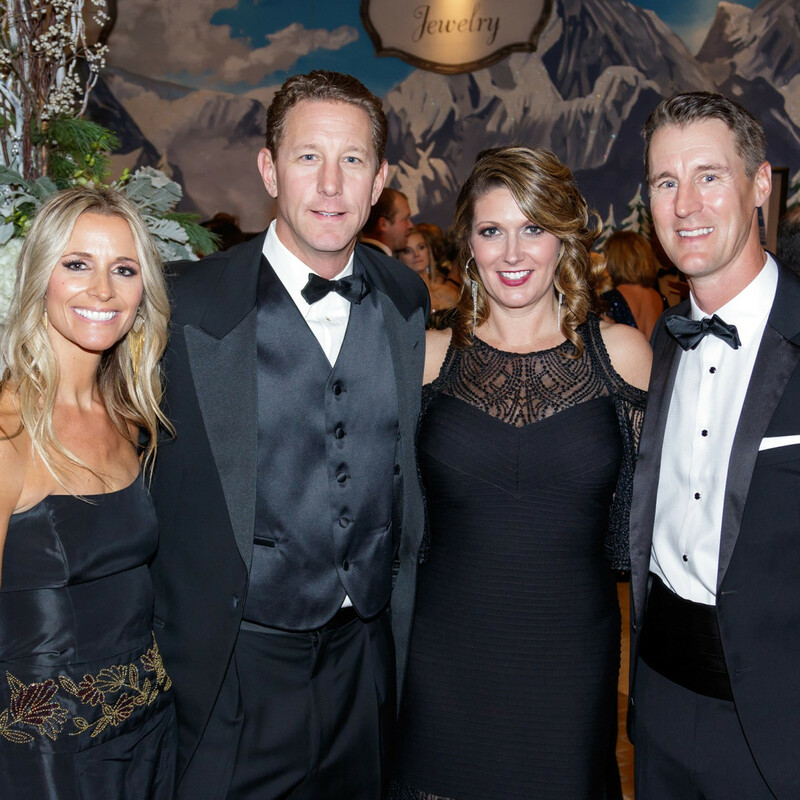 This year's event raised an extraordinary $5.8 million. 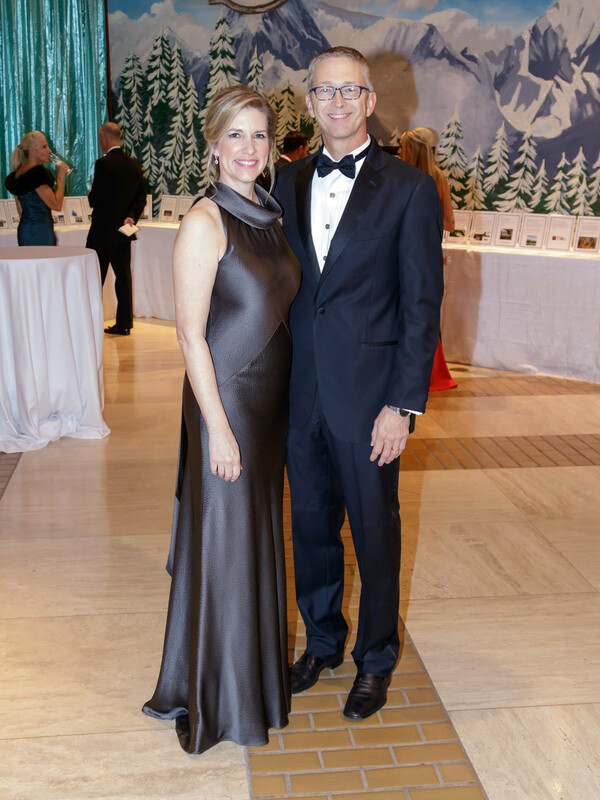 The 2017 ball beneficiaries are Autism Treatment Center, Inc.; Big Brothers Big Sisters Lone Star; Children’s Medical Center Foundation; Dallas Holocaust Museum; Hunger Busters; Presbyterian Communities and Services Foundation; Rainbow Days; Santa Clara of Assisi Catholic Academy; The Crystal Charity Ball Educational Scholarship Project; and The Crystal Charity Ball Endowment Fund.